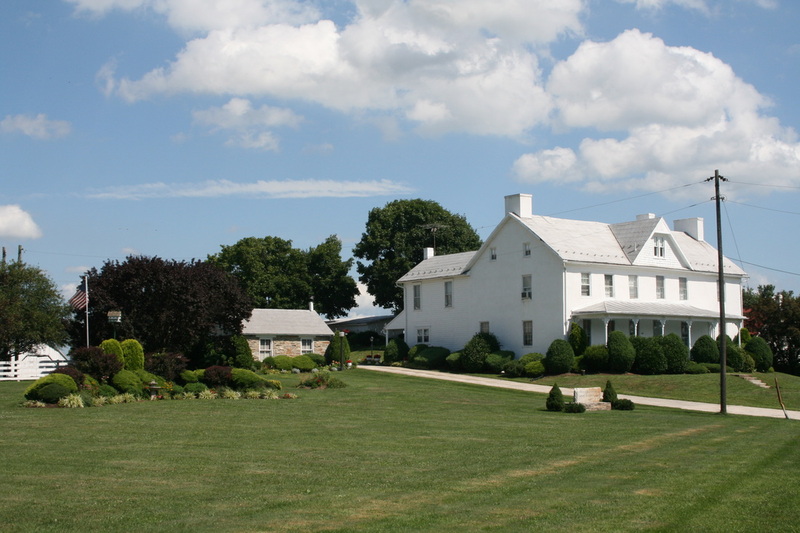 The Town of Burkittsville is situated at the base of South Mountain in southwestern Frederick County, Maryland. Set amid the rolling hills of the Middletown Valley, Burkittsville was located at the crossroads of two ancient Native American hunting routes and is surrounded by some of the most fertile farm land in the region. It was the abundance of fertile soil, timber, and its crossroads which made the site appealing to the first English and German settlers who began to populate the valley in the mid-18th century. On May 14, 1741, the first land tract within the present bounds of the town was patented by Thomas Dawson. Named "Dawson's Purchase," the land patent was the first of many large tracts which were surveyed throughout the pre-revolutionary period. By the end of the 18th century, two land tracts covered the land on which Burkittsville was settled. The western tract, a farm owned by Revolutionary War veteran Capt. Joshua Harley extended from the crossroads to the base of the mountain. The eastern tract, called "Friends Goodwill" was purchased in 1810 by the town's namesake, Henry Burkitt. Beginning in the second decade of the 19th century, the area's two landowners, Harley and Burkitt began selling lots along the route which became Main Street. In 1820, Harley erected the town's first store on the town square. Three years later in 1824, "Harley's Post Office" was established with Joshua Harley serving as the first postmaster. The name of the town was changed to "Burkittsville" by 1830. In these two decades, many of the historic houses much admired today for their architecture were constructed. Also in 1830, the town's first church, the Union Church (shared by the Lutheran and Reformed congregations) was erected in the center of the growing village. Joshua Harley died in 1832 and Henry Burkitt died four years later in 1836. As a new generation of leaders took charge over the growth of the town, Burkittsville entered its first boom. 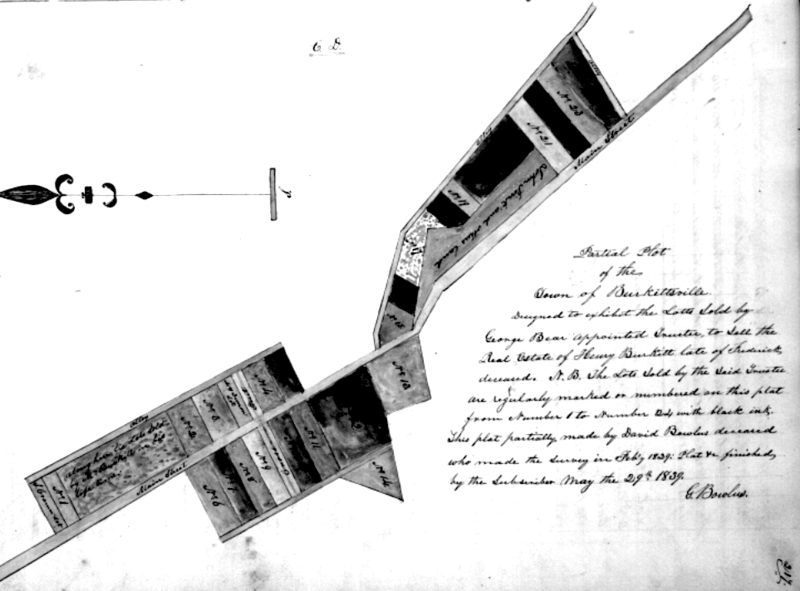 A plat of the eastern part of Burkittsville, drawn during the equity case for probating Henry Burkitt's will in 1839. The varying sizes and shapes of the lots are representative of the town's organic planning. The 24 lots sold by Henry Burkitt span from today's Potomac Street (MD 17) to the easternmost intersection of Main Street and Locust Road. The 1858 Isaac Bond Atlas of Frederick County shows Burkittsville at the peak of two decades of rapid economic development and growth. By the middle of the 19th century, Burkittsville grew into a regional commercial and industrial center. Two large general stores operated at the town square, one containing the Post Office. A third store was located on the eastern end of the village, where two blacksmiths and two wheelwrights were also to be found. On the western edge of the town, the large Weiner Tannery complex was Burkittsville's industrial center. Aside from the tannery itself, a cooper and wheelwright were located in the tannery yard buildings. The prosperous economy allowed the town citizens to erect a schoolhouse, a new Lutheran Church in 1859, and expand the Reformed Church in 1860. As the nation broke apart into Civil War in 1861, Burkittsville's residents could not escape the devastation which the war brought to the area. According to documents from the period, Burkittsville's residents were mostly sympathetic to the Union, though there were slaveholders in the town and some residents did fight for the Confederacy. The war came to Burkittsville in the fall of 1862 as General Robert E. Lee drove the Army of Northern Virginia into Maryland in the hopes of capturing the U.S. Arsenal at Harpers Ferry, Virginia. The Confederate Army took possession of Burkittsville on September 9, 1862 and established a garrison at the top of the mountain in Crampton's Gap. 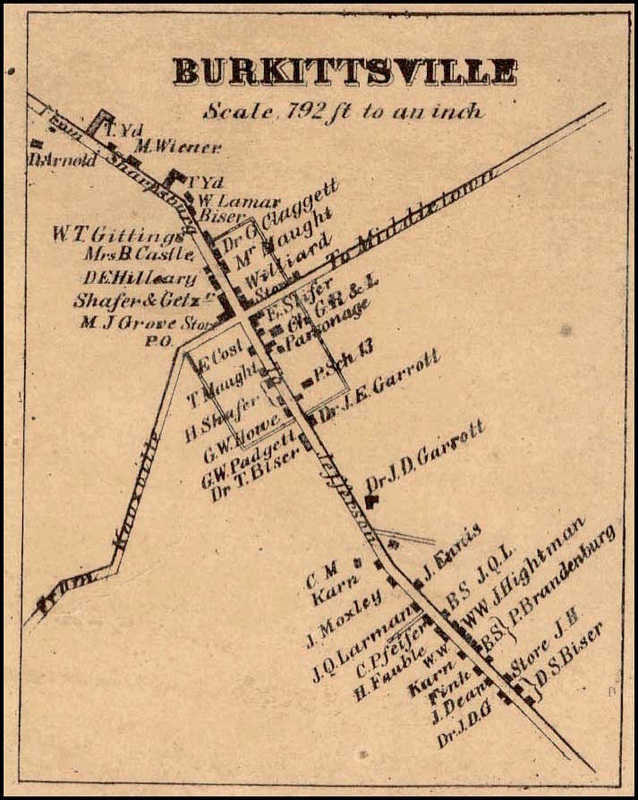 General Lee's battle plans included dividing his army into four parts, three to surround and capture Harpers Ferry and the fourth to capture Hagerstown. When these plans were discovered by General George McClellan on September 13, he quickly sent the Army of the Potomac west to strike Lee before he could regather his forces. 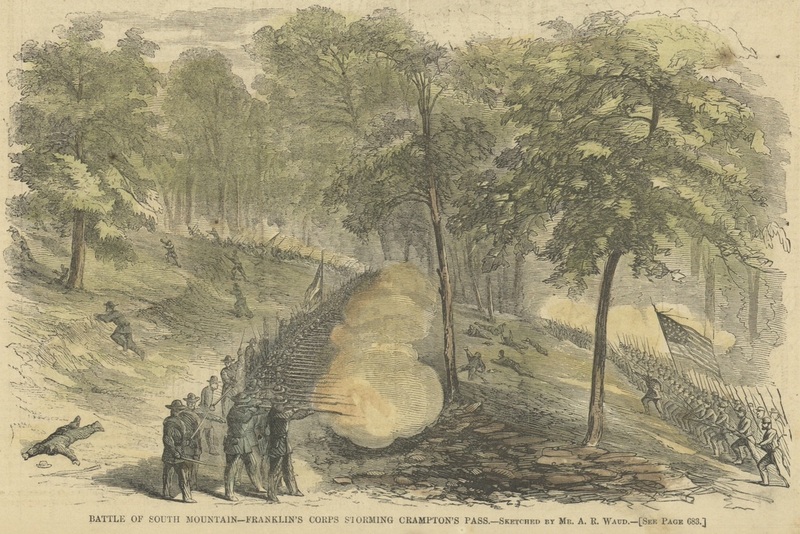 On Sunday, September 14, the Sixth Corps of the Army of the Potomac under command of Major General William B. Franklin entered Burkittsville and opened fire on the Confederate soldiers positioned along the mountain below Crampton's Gap. The battle broke out at 3:00 pm and by nightfall, the Union Army had pushed the Confederates over the mountain into Pleasant Valley. The next morning, September 15, Harpers Ferry fell to the Confederate Army under General Thomas "Stonewall" Jackson and two days later, on September 17, the armies clashed in the Battle of Antietam near Sharpsburg. Though a Union victory, both sides incurred major casualties. The Battle of Antietam remains the single bloodiest day on American soil. For the weeks and months following the Battles of South Mountain and Antietam, Burkittsville became a hospital. Over a dozen buildings in the town, including its two churches, school house, barns and outbuildings, and even houses were filled with hundreds of wounded Confederate and Union soldiers. The population of Burkittsville increased by some 500% overnight, putting a major strain on the town's resources and economy. The damage to surrounding farms and from the hospitals in the town stalled Burkittsville's economic growth for years to come. The army left Burkittsville, closing the last field hospitals on January 31, 1863. The war would again ravage the valley in the summer of 1863 during the Battle of Gettysburg and in 1864 during Gen. Jubal Early's raid. An engraving of the battle for Crampton's Gap by A.R. Waud, published in Harpers Weekly in October 1862. After the end of the Civil War, Burkittsville returned to a slow period of economic growth. In 1866, the Burkittsville Female Seminary opened in the village, a progressive institution of higher education for women, operated under the auspices of St. Paul's Lutheran Church. A second school, the Staley or St. John's Female Seminary was administered by Rev. George Lewis Staley at "Tryconnel," a farm located 3 miles south of Burkittsville. Rev. Staley had served as Pastor of Resurrection Reformed Church from 1846-1849. By the late 19th century, George A. Whalen obtained land and support to erect a schoolhouse for the African American children of Burkittsville and the surrounding areas from Outerbridge Horsey. Burkittsville enjoyed a second period of economic prosperity from the 1890s through the early twentieth century. Several general stores operated throughout the town, the Weiner Tannery was still a regional center of industry, and two rye whiskey distilleries, Horsey's and Mountain Spring (Ahalt's) provided employment to the citizens of Burkittsville and the surrounding area. The population of the village was at its highest in the 1890s. On April 6, 1894, the Maryland General Assembly passed an act for the incorporation of Burkittsville. Within the first years of the new century, further improvements came to the town as a public water system was built and its houses and buildings were updated to display the fashionable Victorian style. A new four-room school was built in the town in 1914. Like many rural towns of its size and position, Burkittsville's role as a commercial center waned in the mid-twentieth century as society continued to become more mobile in the automobile age. By the end of World War II, all of Burkittsville's industries with the exception of agriculture had ceased to function, and by the last quarter of the century, its commercial establishments had also faded. However, this transition for the town brought a renewed interest in the community as a historical landmark. In 1975, the entire town as placed on the National Register of Historic Places and the first town historical society was formed. Burkittsville remains widely recognized for its well preserved historical structures. In 1999, Burkittsville burst into headlines across the nation as the town was swept up in the phenomena of "The Blair Witch Project." The independently produced film cost around $22,500.00 to make and brought in $248.6 million over its release, making it among the highest grossing independent films in history. Though only a limited number of scenes were filmed in Burkittsville (most of the film was shot in Seneca Park), its narrative and characters were set in the village. While the initial impact of the film on Burkittsville was mostly negative due to film fanatics who vandalized several areas around the community, it is today recognized as one of the town's "claims to fame," even inspiring a sandwich at the Ruritan's annual summer carnival. The film's notoriety continues to bring tourists to Burkittsville each year. Today, Burkittsville is a quiet community of 170 residents who mostly commute to work within the DC/Baltimore Metropolitan Area. The town's houses and public structures are much admired for their historical integrity and architectural beauty. 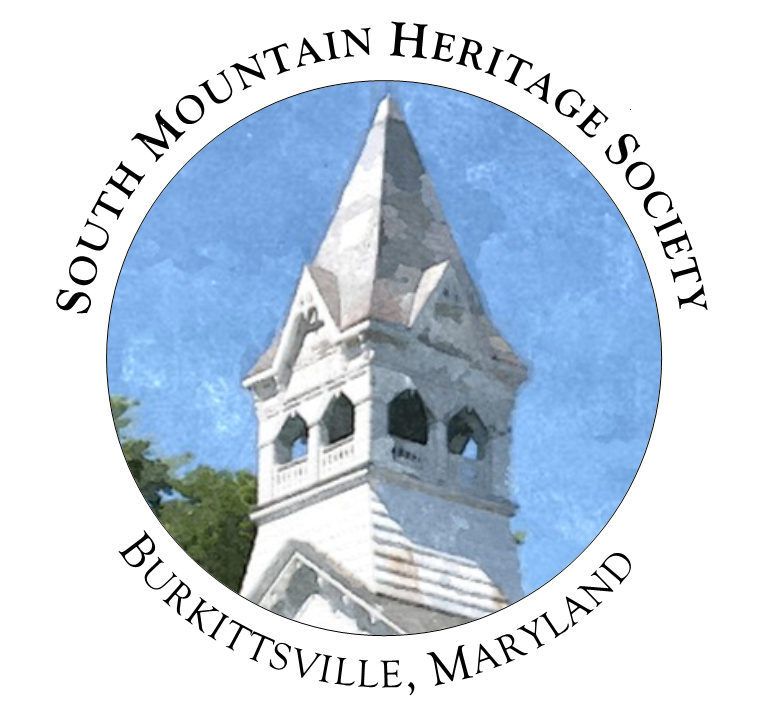 Community institutions such as St. Paul's Lutheran Church, the Burkittsville Ruritan Club, and South Mountain Heritage Society provide forums for citizens to gather, converse, celebrate, and appreciate the historic community of Burkittsville. "Friends Goodwill" The historic and well-preserved farm upon which Henry Burkitt started his town over two centuries ago.